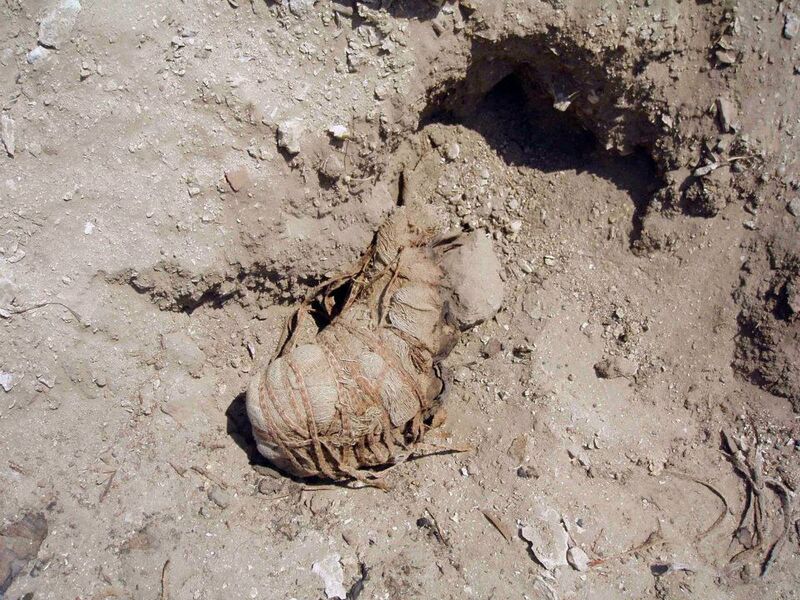 The field season has now ended for the El Hibeh Excavation team, however the fight to stop the looting goes on. This is the final posting from the field from Dr Carol Redmount. Another exposed and destroyed mummy found beside path back to guard building. This was reburied. We ended our 2012 Hibeh field season at the Ihnasya Magazine on April 19. I am pleased to report that, despite less than ideal conditions, we were nevertheless able to make a significant dent in our ceramic and small objects backlogs during the month we were working. Rexine Hummel processed approximately 1500 sherds, concentrating on selected excavated areas with well stratified Third Intermediate Period archaeological deposits. The object registry team, headed by Joan Knudsen, reviewed, registered and/or rehoused virtually all the material we transported from the Hibeh magazine to Ihnasya (we left behind at Hibeh large and delicate items that would have been problematic to transport). We especially wish to thank our MSA Inspector, Mr. Rabee Akl, for all his support and assistance, the Director of the Ihnasya Magazine, Mr. Atef Helmy, who so generously let us take over his office for our work, and the General Director of the Beni Suef Inspectorate, Mme. Nadia Ashour, as well as the Cairo MSA officials who gave us permission to transport El Hibeh materials to the Ihnasya Magazine and study them there. We are very grateful to all these individuals. Unfortunately, our number one concern, the on-going and massive looting at the site, continues unabated. 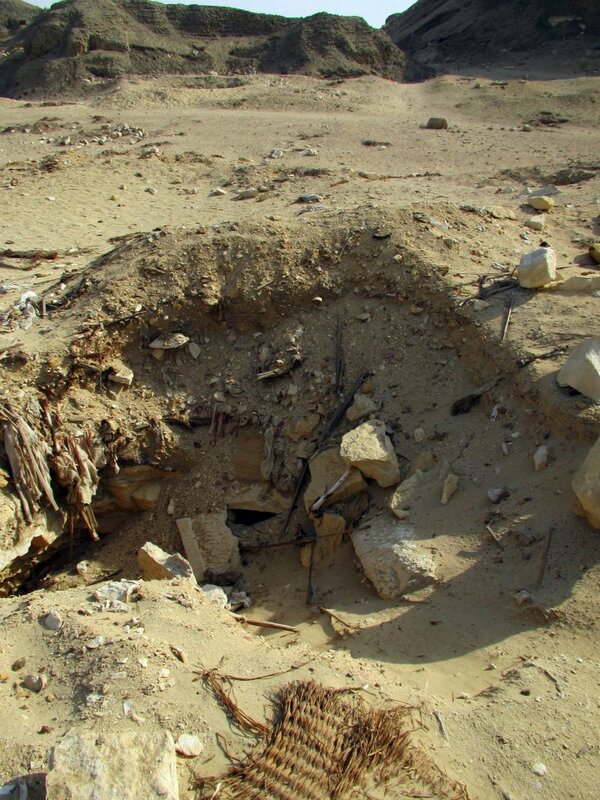 We were very pleased that last Tuesday, April 17, an official delegation, headed by Abdel-Hamid Maarouf, Director General of the Pharaonic Sector, came from Cairo to investigate looting at several sites, including Ihnasya and El Hibeh. The delegation stopped very briefly to greet us at the Ihnasya Magazine and then, after visiting Ihnasya, continued on to Hibeh where they reviewed the damage to the site accompanied by many members of the Beni Suef Inspectorate. We were told that the delegation visited the site for over an hour and took many pictures. It is our sincere and very great hope that their visit will result in rapid and direct action being taken to protect Hibeh and other sites from further looting. We received permission to return our study materials to the Hibeh Magazine from the Ihnasya Magazine on the last day of our field season, April 19. We rented a truck, packed the materials, and returned them to Hibeh where, after some initial difficulties with the local Hibeh guards who manhandled the bags of pottery, we succeeded in getting everything back in place in the Hibeh magazine. We then visited the site one last time during our 2012 field season with our MSA colleagues from the Beni Suef Inspectorate. 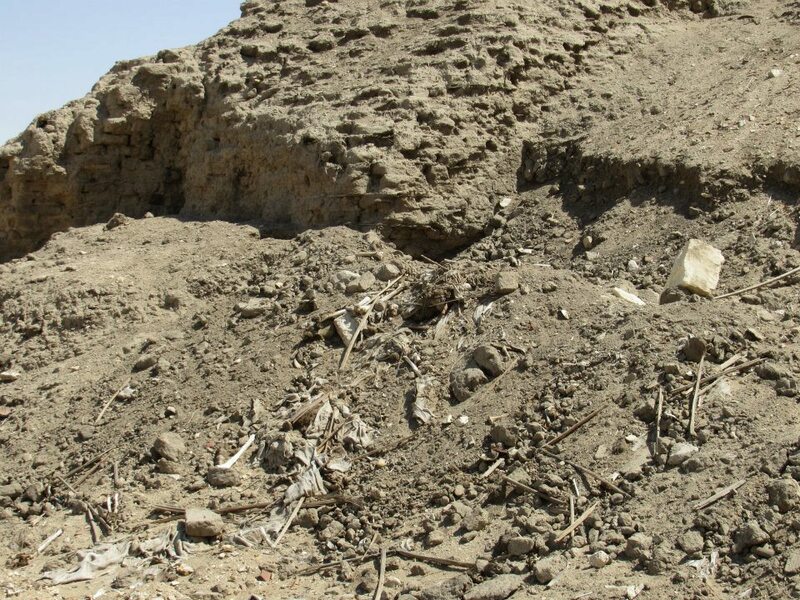 Our goal was to bury as many of the scattered mummy/ body parts as we could, and to see whether there had been further damage to the tell. Alas, the answer to that last question is that more large-scale looting had taken place since our last visit, and even in the two days that had passed between the visit of the official delegation from Cairo and our arrival. It appears that dirt from the new looting is used to fill and cover up the holes created by previously looting. Distressingly, more fresh body parts were everywhere, including the mummified forearms and lower legs of a small child. 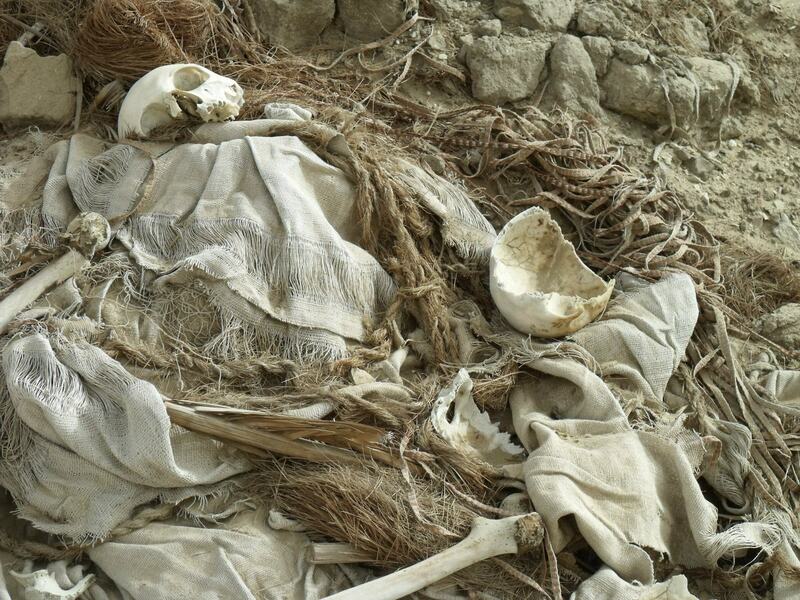 The partial mummy of the woman that we had photographed at our last visit, however, had disappeared. 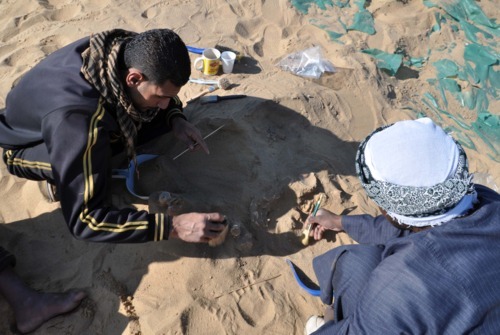 Together with our Egyptian colleagues and the assistance of two site guards we reburied as many body parts as we could, as close as possible to where they were found. Although this is our last update from our currently field season in Egypt, it is not our final posting. That will not occur until Hibeh is adequately protected. In the coming days we will add more photos to our albums and continue comparing the various looting photos that we have taken ourselves or been sent with each other and with earlier, pre-looting photos of the site. In this way we hope to track, as best we can, the progress of the pillaging. We will also continue to carry on our work to raise public awareness of the looting problem generally — Egypt’s cultural heritage is, after all, an important, non-renewable resource that is also an important part of world heritage — as well as continue our campaign to get Hibeh and other Egyptian cultural heritage sites protected. I leave Egypt shortly to fly to the annual national meeting of the American Research Center in Egypt (the major professional organization of American Egyptologists), which is also attended by Egyptologists from all over the world, where I will be giving a talk entitled “Collateral Damage” that will review the importance of Hibeh and assess the irreparable damage the looting has done and is still doing to the site. As always, we thank all of you, Egyptians and non-Egyptians, for your steadfast support and we very much hope you will continue that support as we carry our cause forward past the ending of our 2012 field season. We will not stop our efforts until Hibeh and Egypt’s cultural heritage are protected once more, however long that may be, although we very much hope it will be sooner rather than later. On the very last day of the season, much of which was spent reviewing previously excavated material that we were allowed to take to Ihnasya, we were allowed to visit El Hibeh with heavy police guard. 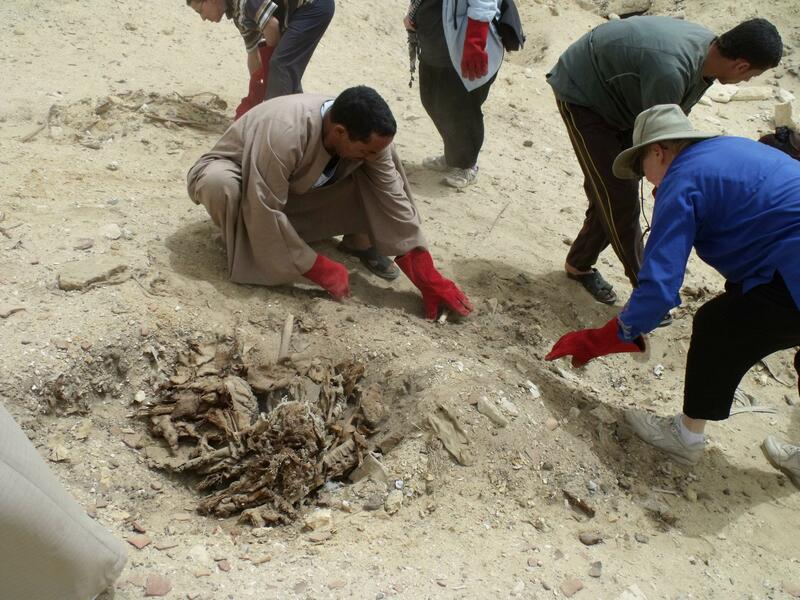 The main task was to bury exposed human bodies that looters have strewn all over the site. We thank all the employees of the Ministry of Antiquities who made the visit possible. The visit was severely depressing and emotional. Looting continues on a vast scale with massive pits appearing since Carol’s last visit only a few weeks ago. 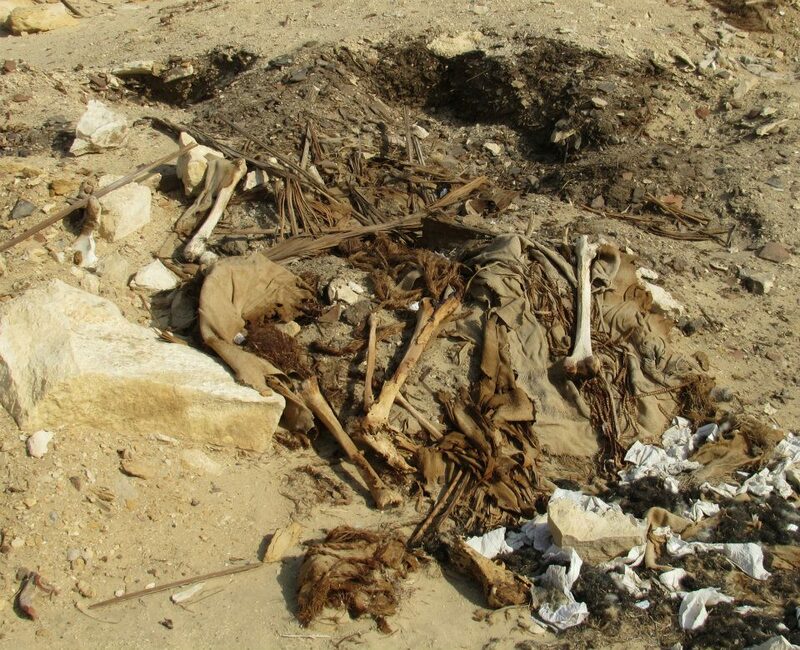 Destroyed mummy on burial textiles a few meters south of destroyed excavation trench. Now reburied. Looter pits looking towards North Gate. Child's foot. Truly outrageous. Now reburied. Limestone doorframe and mudbrick structures exposed by looters. The sheer scale of the pit and destruction is unbelievable. — with Rabee Akl and Carol Redmount. Tomb or other structures exposed and explored by looters. For all the photos from this site visit please see http://www.facebook.com/media/set/?set=oa.364071873645130&type=1 If you haven’t already joined the group please do so and give your support. East Wall. Looter's cut through east town wall. Note SCA inspection delegation in background descending from the tell to the eastern cemetery to examine looted tombs there. El Hibeh. East town wall before (above) and after (below) looting. 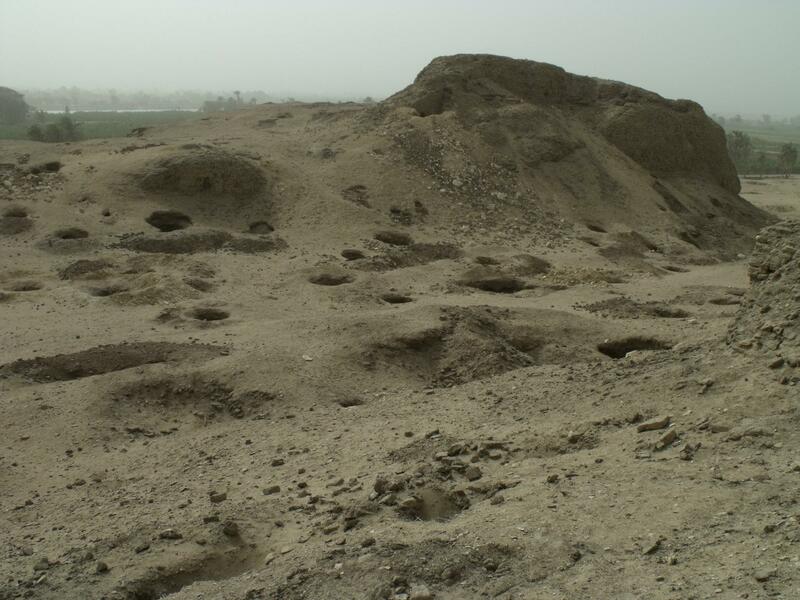 Early this week, eminent University of California archaeologist Carol Redmount launched an appeal to rescue the El-Hibeh archaeological site in Beni Suef, almost 300km south of Cairo, through creating a Facebook group page. 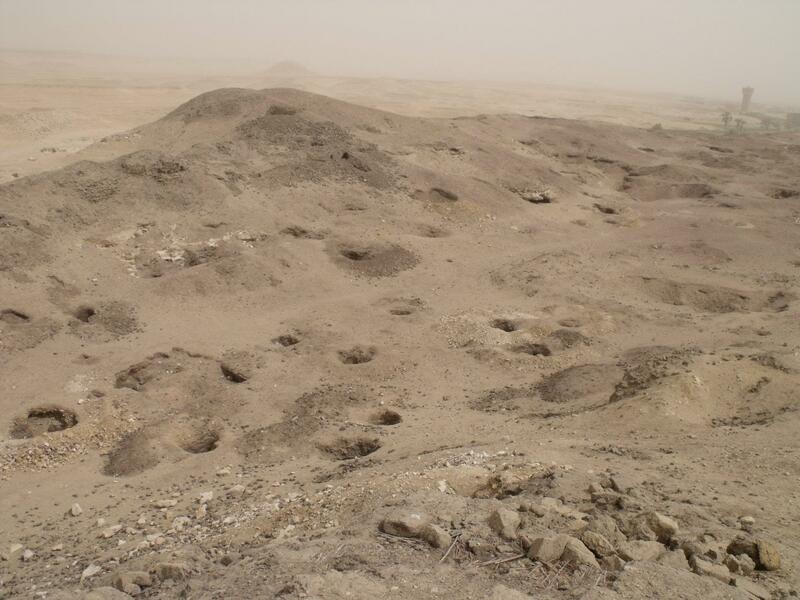 El-Hibeh site is key to understanding ancient Egyptian history, as it is the least disturbed city mounds of the Third Intermediate Period (1070BC – 664BC). El-Hibeh is the modern name of the ancient Egyptian city of Tayu-djayet which means “their walls”, referring to the massive enclosure walls built on the site by the high priests of Amun at Thebes to separate them from the kings of Egypt at Tanis. This shows the country’s division during the period between the 20thdynasty and the 22nddynasty. In the Graeco-Roman time, El-Hibeh was known as Ankyronpolis and during the Coptic era it was called Teudjo. The city is estimated to have been built in 1070 BC by the high priest of Amun and lasted for over 1,700 years. It includes remains from ancient Egyptian, Ptolemaic, Roman, Coptic and early Islamic eras. On the Facebook group page, Redmount posted the story behind the creation of the account. She wrote that after the January 25 Revolution she contacted people in Egypt in order to ensure that El-Hibeh was not subjected to looting like other archaeological sites in Egypt. The lack of security in the aftermath of the revolution had led robbers to raid the ancient necropolis and museums. El Hibeh North Cemetery. Looted grave with adjacent burned material. Redmount continued that photos sent to her in May, June and December 2011 and January 2012 confirmed that the site had in fact been looted. She also heard that there were raids going on at night by an unknown person from El-Ogra, the village north of the site, and that no one could catch the person. “That is where things stood when I came to Egypt in February,” Redmount wrote. When she arrived to Egypt to resume excavation works, which had stopped in 2009, she registered with the Ministry of State for Antiquities (MSA). On her way back to Cairo through the eastern desert highway, Redmount saw about ten men openly looting the mound and desert behind. She succeeded in photographing them. The American archeologist also pointed out that one of the team’s drivers took the same road last Friday and reported that again numerous men were busy with wholesale looting of the site in broad daylight. “This is an on-going crisis. They are destroying the site,” Redmount asserted. She went on to explain that the MSA officials have tried everything they could to get the looting to stop but nothing appears to have had an effect. “This is something police and security seem to be ignoring, turning a blind eye to or worse. We started the Save Hibeh Facebook page because we are at our wits end as to what else to do,” Redmount concluded. “Hibeh is vitally important to understanding the character of ancient Egypt in the Third Intermediate Period, a very confusing and confused historical era for which only limited archaeological resources exist. Archaeology is controlled destruction, but looting is obliteration. It destroys an irreplaceable, nonrenewable cultural resource that belongs to humanity,” asserted Redmount. 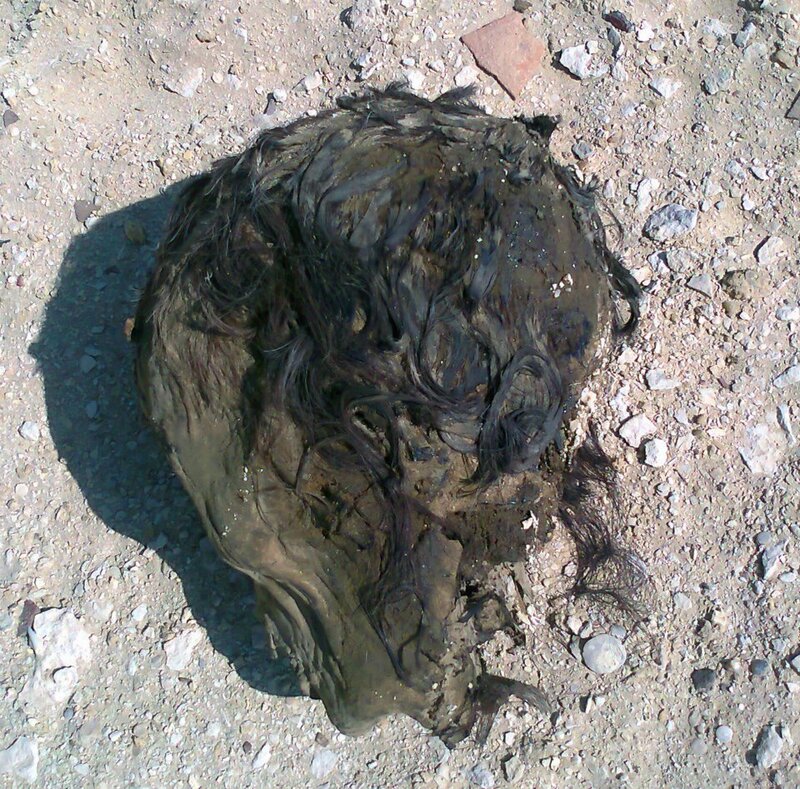 As promised – some new, and distressing, images of El Hibeh. Coptic Cemetery. Looting at eastern end. North Cemetery. Looted tomb. Note stone sarcophagus at bottom of hole and ancient matting in foreground. North Cemetery. Ms. Amal Farag of the Beni Suef Taftish on left viewing looted mummy. More photos to come tomorrow… action still needs to be taken… please check earlier posts to see what you can do to help. If you are disturbed and horrified by the looting of Egypt and the world’s treasures from sites like El Hibeh, there are ways you can help take action. A petition has been set up online – it’s easy to sign and just takes about a minute maximum. PLEASE sign and share! The group shares pictures of the site, of looting, articles regarding this issue, and it is hoped that after joining you will spread the word, add friends to the group, and notify the press when and where possible. We must take action to save El Hibeh and hundreds of other sites like it that have been severely damaged as a result of limited police protection since January 28, 2011. The following paragraph can be cut and pasted into emails and sent to organisations and contact (see below for suggestions). We suggest that you put El Hibeh and Looting in the subject line. 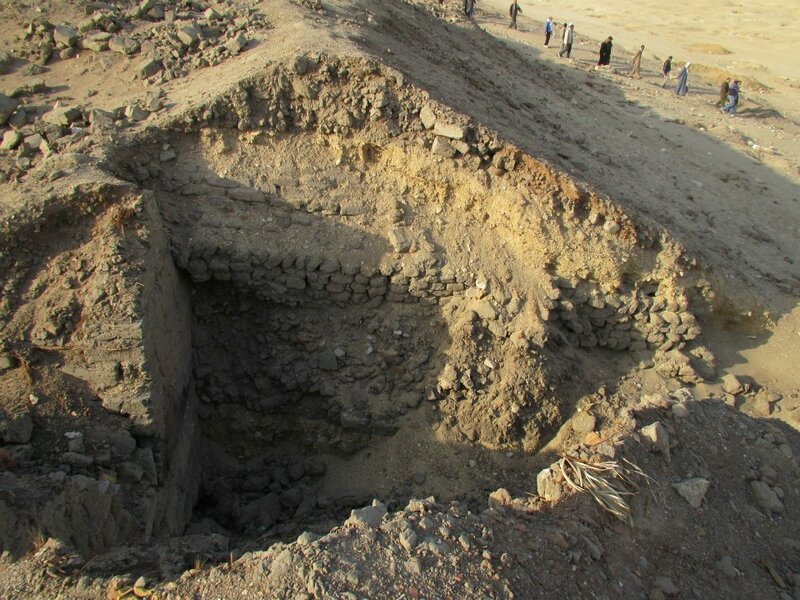 I am appalled at the looting that is currently occurring at the ancient Egyptian site of El Hibeh as well as in numerous other places across Egypt. These sites represent the cultural heritage of Egypt and the world. It is imperative that looting be stopped immediately and that security is re-established and maintained. We urge you to take all necessary actions to make this happen. You may wish to add points about the importance of tourism, the image of the country, etc. 3 El-Adel Abu Bakr St.
Looting has been happening at other sites as well as El Hibeh. Here is a short video showing some of the damage at Abusir. 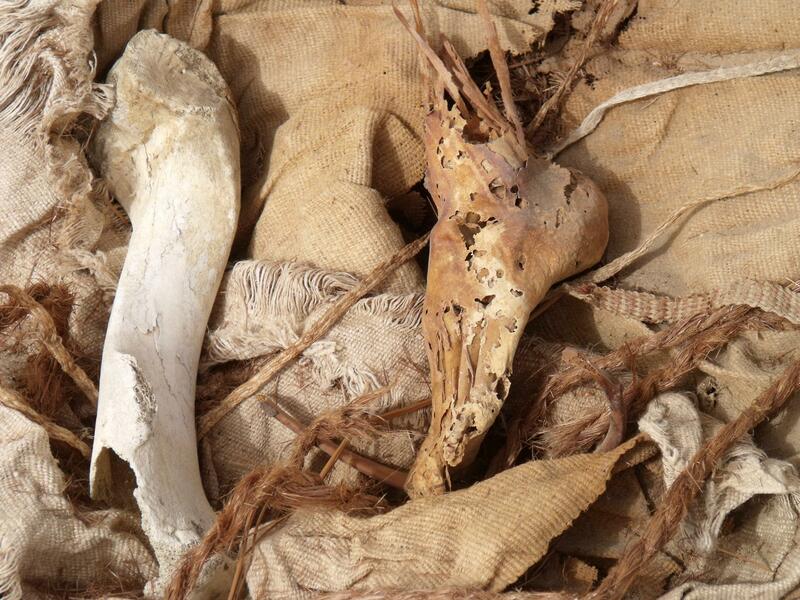 Have a look at some of the special finds from El Hibeh. While those associated with the Facebook group working to apply pressure and get some protection for El Hibeh continue to pursue a variety of strategies, it seems the level of destruction continues to mount. 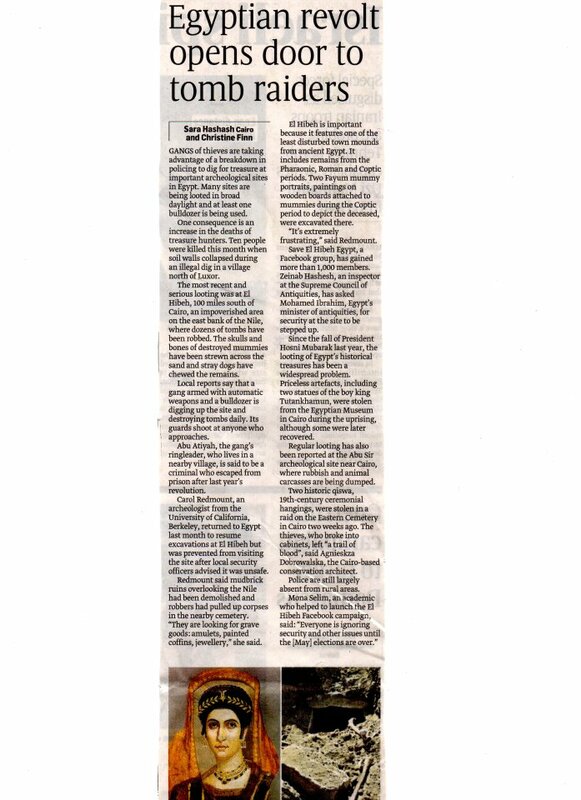 Today, 15th March, Egypt’s El Wafd weeekly newspaper had a large article drawing attention to the problems. The article is in Arabic and accompanied by pictures which show even further damage to some of the areas photographed earlier in March. The reporter, Magdy Salama, travelled to El Hibeh a few days ago to find no security at the site, walked everywhere and took lots of pictures, some of which can be seen in the article. The article has been scanned and can be seen here http://www.facebook.com/photo.php?fbid=10150684079459354&set=oa.340152236037094&type=1&theater. A translation will hopefully soon be available. 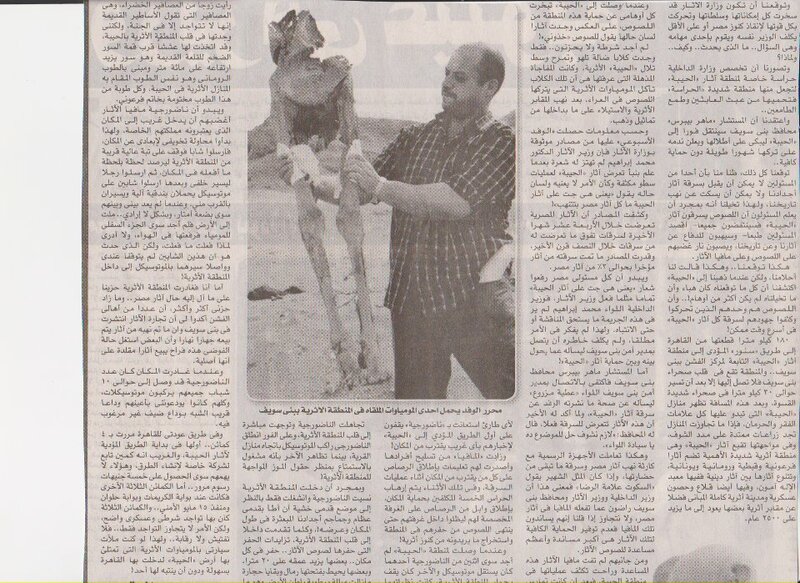 Reporter Magdy Salama's article with picture of him holding human remains exposed by looters in recent days. Also for Arabic readers there’s another article published expressing support for inspectors at El Hibeh. 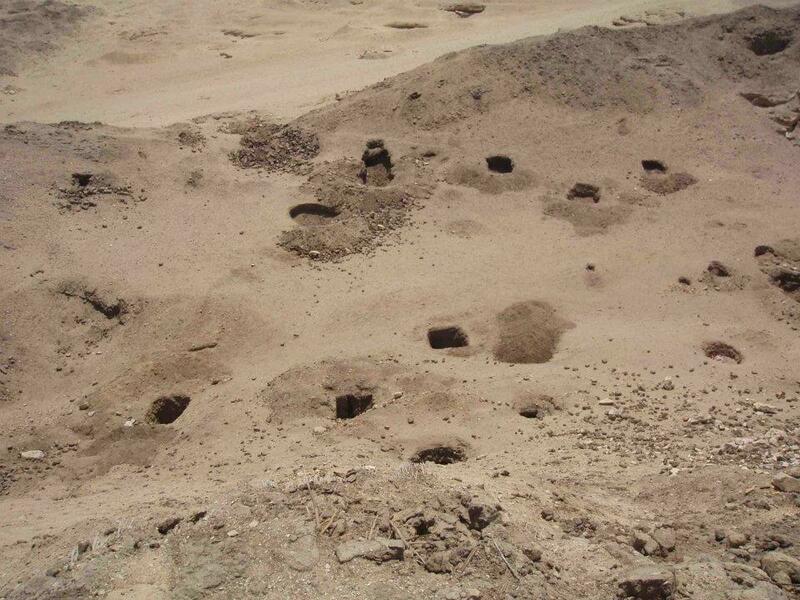 A petition has been established calling for protection of Egypt’s archaeological sites. Please sign and share – 5000 signatures are needed. It is also hoped to get Google Earth to update their images of the area and everyone is encouraged to mark El Hibeh in the hope that if enough people do so, Google Earth will get some new images. These will be very valuable in tracking the extent of the looting. The image below is taken at night. 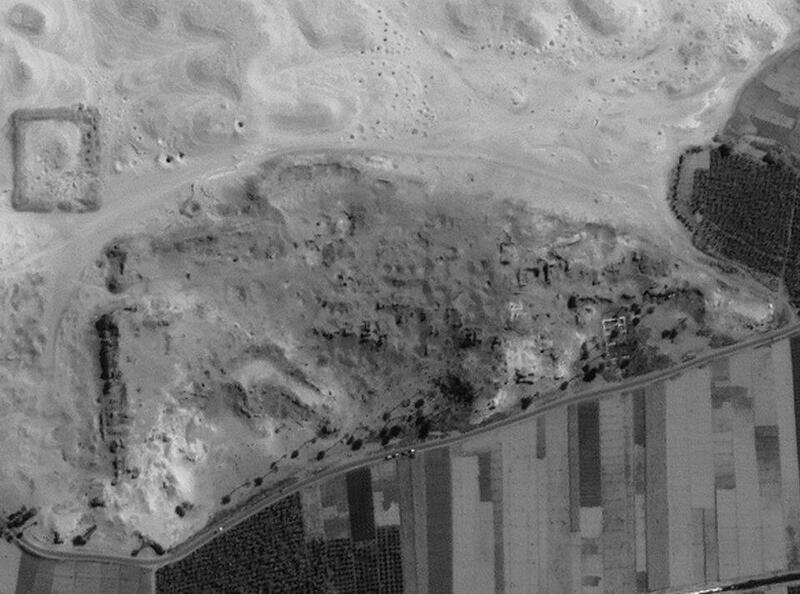 This is a satellite view of El Hibeh taken several years ago. Compare it with the most recent Google earth view of the site. Google has three satellite images taken in different years. The most recent is after the looting. Although it was taken at night, you can still see the looting pits in the reflected light of the desert and the town wall. We may be able to get Google Earth to update the Hibeh images and show it currently and in daylight. Go to this link, https://followyourworld.appspot.com/, type in Al Hibah, Egypt for the location. It will take you to a small village just south of the mound. Move the picture a bit to the north until you see a perfectly square enclosure. Place the + sign on the mound and click it. Complete the rest of the form and here’s hoping. Don’t forget to PLEASE share the information far and wide. 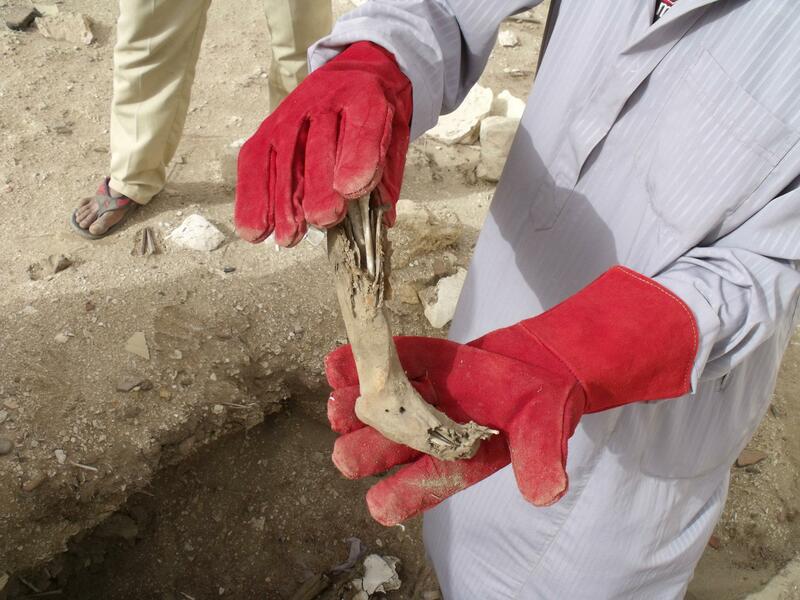 Thanks to the Hibeh Excavation for photos. 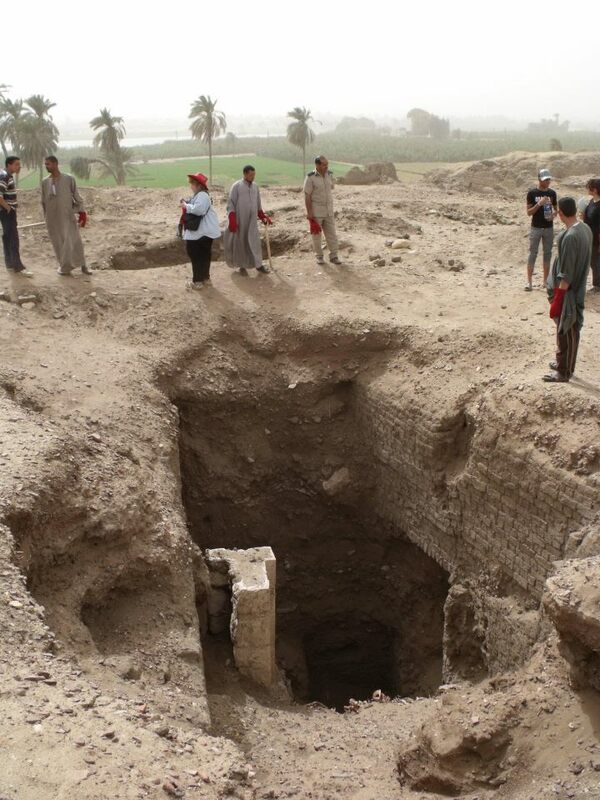 While some areas of Egypt are seeing looting at archaeological sites, in other places digs are proceeding well. We’ve given you some links to just a few of the sites and the work being done there. While you enjoy these please give a thought to supporting the campaign to stop the looting at El Hibah – there’s a FB group you can join to keep abreast of what’s happening. 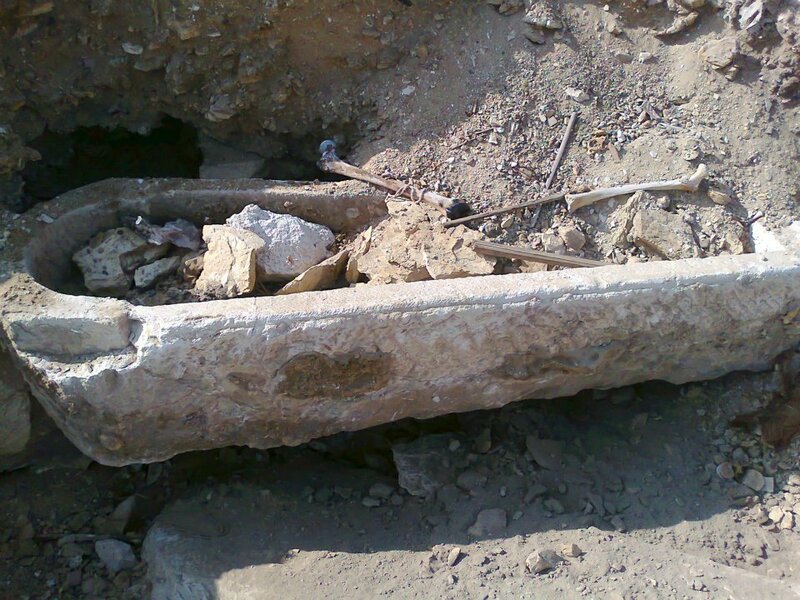 Broken stone coffin and human remains in a pit near the north wall at El Hibeh. 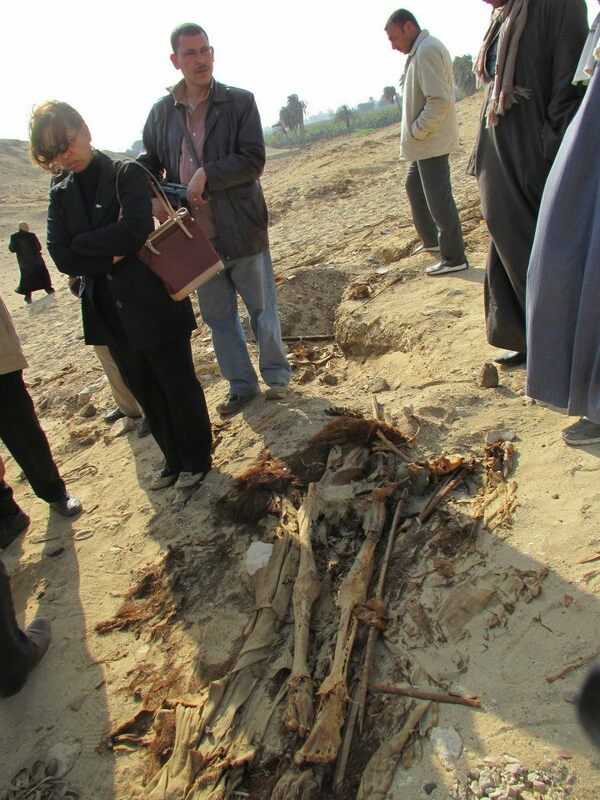 In March and April 2012 Dr Joanne Rowland again leads the Egypt Exploration Society’s Expedition to the Minufiyeh Governorate, Egypt. During this season Jo and her team will be carrying out excavation and geophysical survey work at the site of Quesna. One younger and one more experienced archaeologist working together to uncover a burial in T9 at Manufiyeh. Seasons 2004-2006 were spent in explorations of Horemheb’s hitherto unknown forecourt and First Pylon, and of the forecourt of his neighbour Tia. 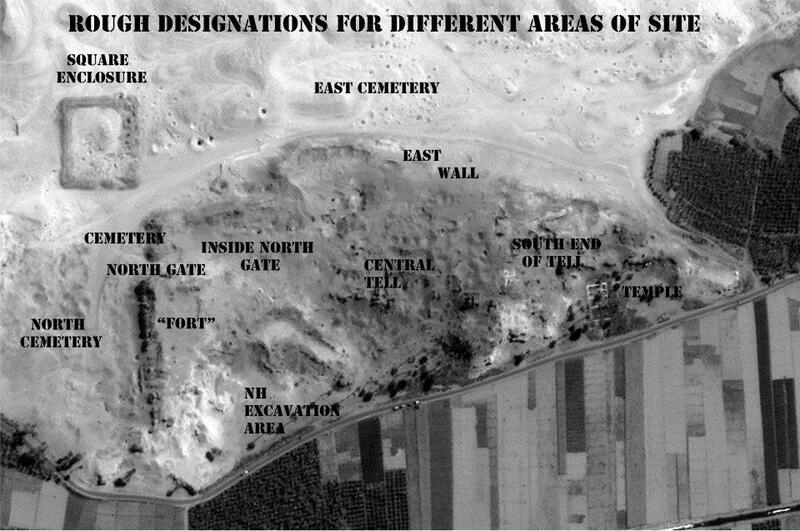 The two following years (2007-2008) were devoted to excavation of the tomb of the royal butler Ptahemwia, further east. 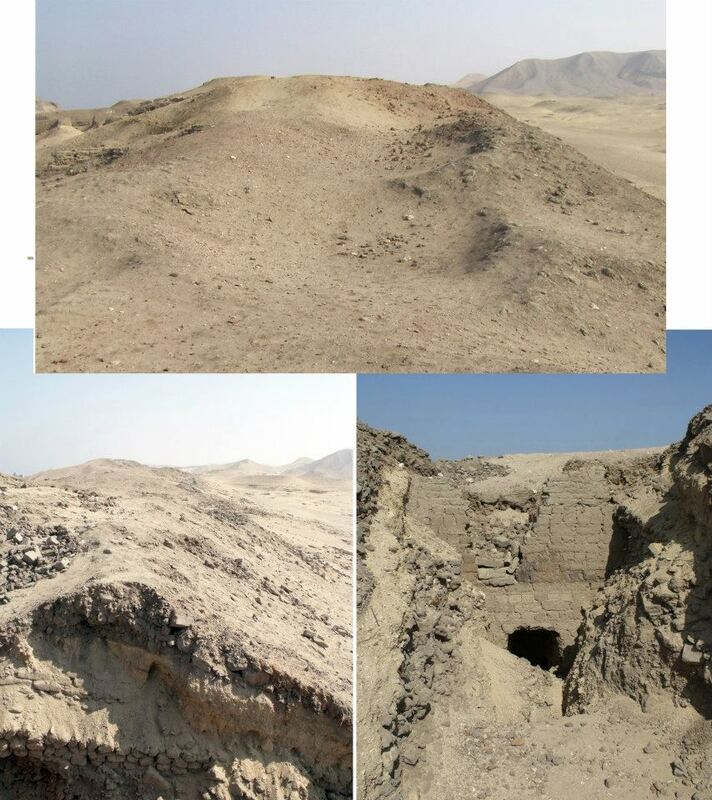 In 2009 the tomb-chapels of two priests of Ptah were found, Tatia and Khay, and in 2010 an unfinished and so far anonymous tomb was uncovered to the south of that of Ptahemwia. 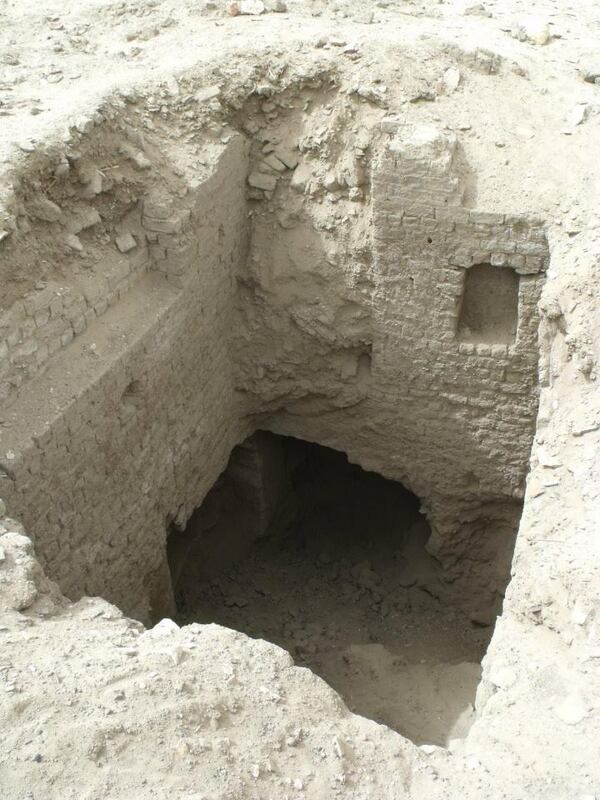 The 2012 excavation season sees a return to the Gallery Complex at AERA’s main site of Heit el-Ghurab. The immense size of the complex, which is divided into four sets of elongated galleries, is a defining feature of the site. 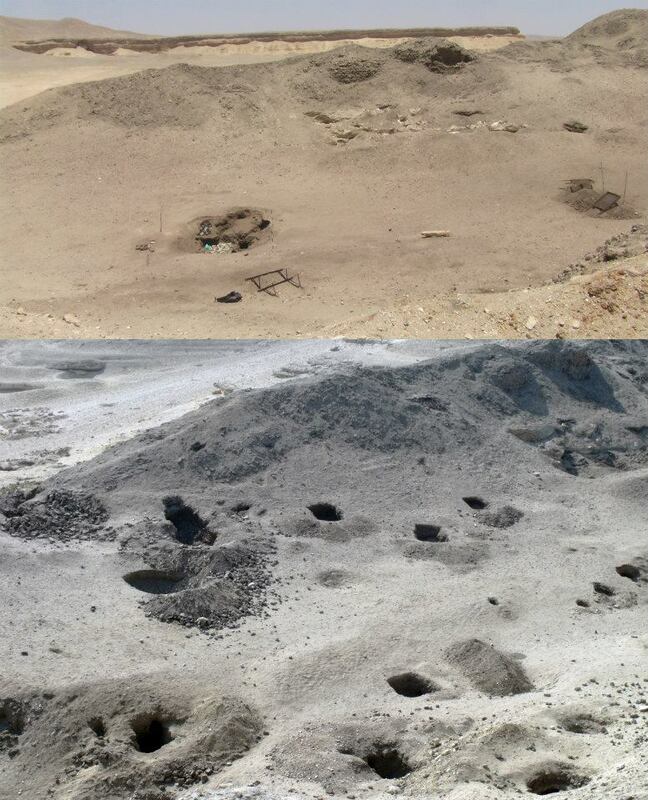 Previous excavation of parts of these enigmatic structures, by the AERA team over the years, has given rise to the idea that they could have been built as accommodations for the workers who built the Pyramids at Giza. Since its inception in 1978, the Theban Mapping Project (TMP, now based at the American University in Cairo) has been working to prepare a comprehensive archaeological database of Thebes. With its thousands of tombs and temples, Thebes is one of the world’s most important archaeological zones. Sadly, however, it has not fared well over the years. Treasure-hunters and curio-seekers plundered it in the past; pollution, rising ground water, and mass-tourism threaten it in the present. Even early archaeologists destroyed valuable information in their search for museum-quality pieces. Franck Goddio and his team conduct underwater archaeological mission in and around Alexandria. They have made some fascinating discoveries. 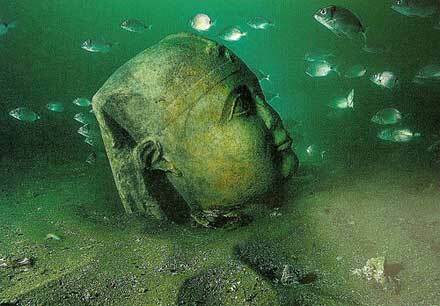 A serene face of a statue underwater in Alexandria. The ancient Egyptian city of Tell el-Amarna (or simply Amarna) was the short-lived capital built by the ‘heretic’ Pharaoh Akhenaten and abandoned shortly after his death (c. 1332 BCE). It was here that he pursued his vision of a society dedicated to the cult of one god, the power of the sun (the Aten). 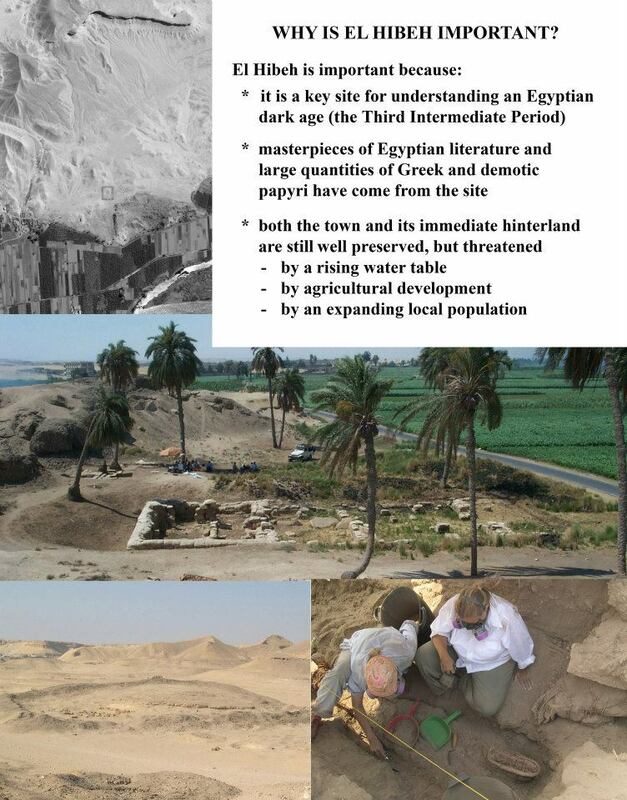 As well as this historic interest Amarna remains the largest readily accessible living-site from ancient Egypt. It is thus simultaneously the key to a chapter in the history of religious experience and to a fuller understanding of what it was like to be an ancient Egyptian. There is no other site like it. For the fourth season running, during March 2012, Dr Patricia Spencer will be posting regular updates from the Delta, Egypt. These are just a few of the many projects happening in Egypt right now – have fun exploring. Below is a press release regarding the El Hibeh looting. Please support the campaign to save this valuable archaeological site and spread the word wherever and however you can. You can use the resources on the Facebook group page (http://www.facebook.com/groups/337119989673652/), including photographs and this release. After Egypt’s revolution, priceless artifacts were stolen from the nation’s world-famous Egyptian Museum in Cairo as well as from innumerable storehouses scattered throughout the country. 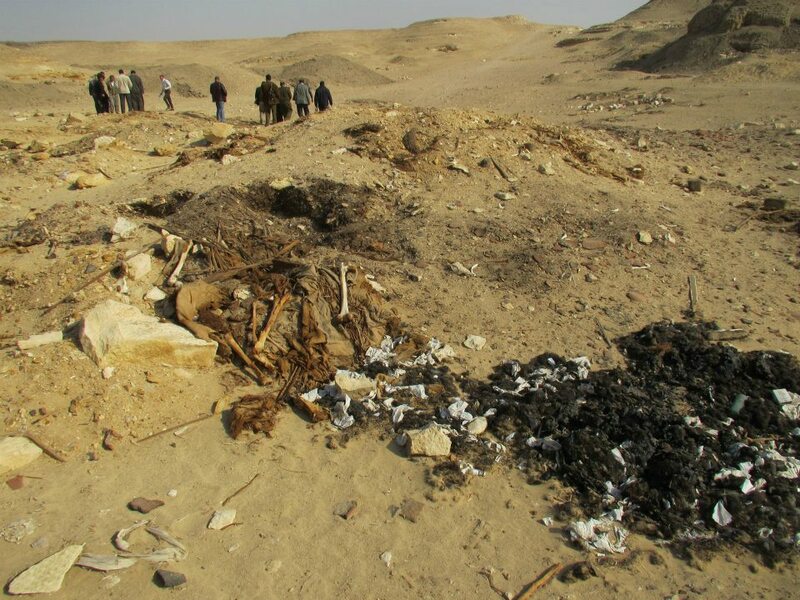 Today the continued plundering of archaeological sites, which comprise Egypt’s cultural heritage in its most pristine state, presents an even more critical challenge as sites are often remote and protected by low-paid guards and state security seems unable or unwilling to halt the mayhem. Double image showing the same part of the site as it was in 2009 (top) and today (2012). El Hibeh is one such site. On the east bank of the Nile in a particularly impoverished area of Egypt three hour’s drive south of Cairo, the archaeological site occupies about two square kilometers and includes cemeteries and the ruins of a walled ancient provincial town with a limestone temple, industrial facilities, houses and possible fort and governing residence. The remains date from the late Pharaonic, Graeco-Roman, Coptic and early Islamic periods (approximately 11th century BCE to eighth century CE). Hibeh is of special importance because it is one of very few relatively intact town sites remaining in Egypt and because of its extensive archaeological deposits dating to the Third Intermediate Period, Egypt’s last “Dark Age” and an era particularly poorly known archaeologically. 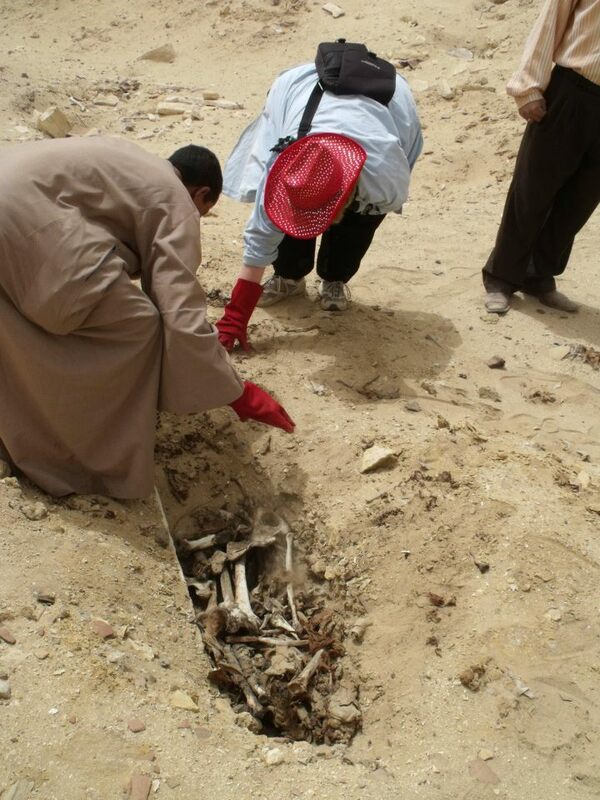 Eminent University of California, Berkeley archaeologist Dr. Carol Redmount arrived in Egypt in February to continue her archaeological work at the site after obtaining the proper permits from Egypt’s Supreme Council of Antiquities which controls all excavations in the country. Twenty-four hours before departing for the site her permits were revoked by the provincial police service with no explanation. Inquiries revealed that a mafia-like gang led by an escaped convicted criminal have been ruthlessly looting the site since at least June 2011. The Supreme Council of Antiquities has been unable to stop the pillaging despite repeated appeals to local police services. Open, systematic looting continues on a daily basis as of the writing of this press release. Dr. Redmount has not been allowed to visit the site nor do any work. “Hibeh is vitally important to understanding the character of ancient Egypt in the Third Intermediate Period, a very confusing and confused historical era for which only limited archaeological resources exist. Archaeology is controlled destruction, but looting is obliteration. It destroys an irreplaceable, nonrenewable cultural resource that belongs to humanity,” says Dr. Redmount. 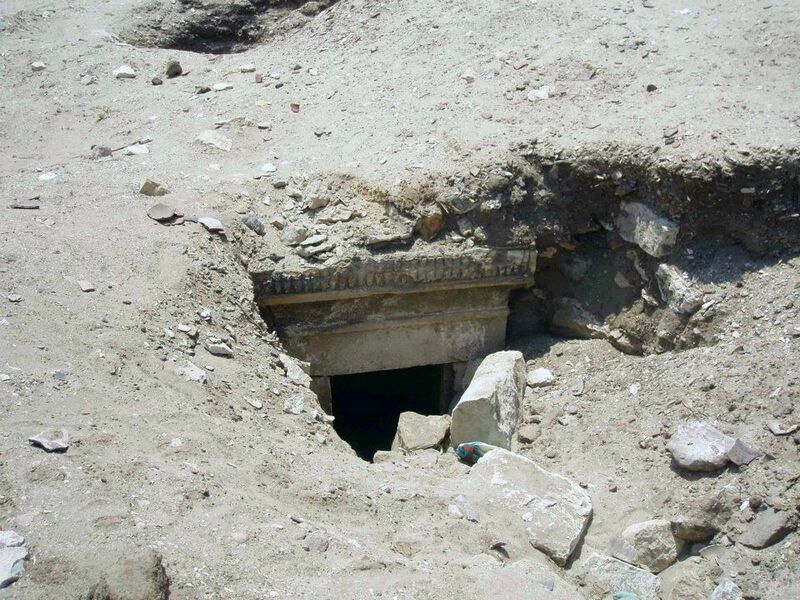 Tomb with a beautiful uraeus frieze opened by looters and all contents destroyed. Redmount’s team of six researchers from UC Berkeley is currently unable to do any of its proposed academic program at Hibeh for which they had received permission from the Egyptian authorities. This is costing the team tens of thousands of dollars in lost grants. “Our primary concern of course is the incalculable loss of precious archaeological evidence. Archaeologists dream of excavating undistrubed or even relatively undisturbed historic sites. We are losing Hibeh for posterity as we speak,” adds Dr. Redmount. 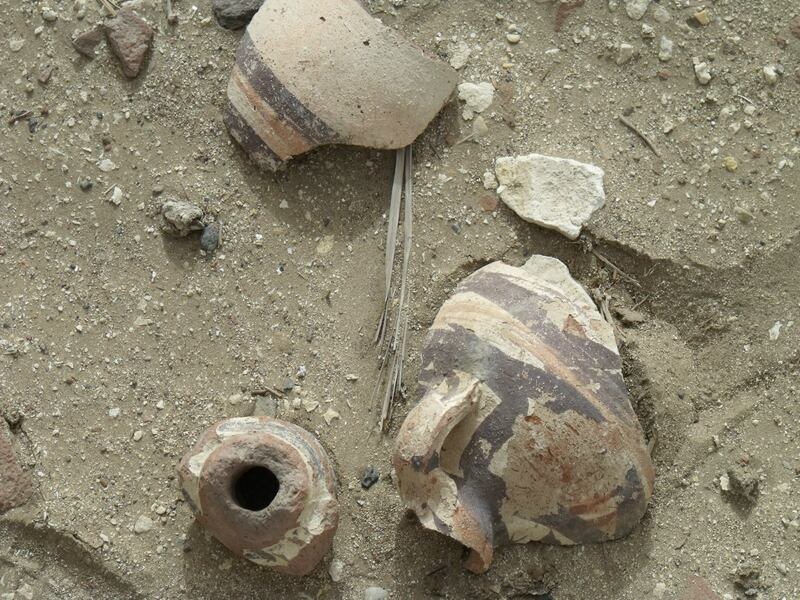 Independent verification of the scale of the looting has been provided by visitors to the site who sent photos to Dr. Redmount, including pictures of looting in progress. Exposed mummified child from the Coptic period. Photographic evidence of the looting is available. 1. Dr.Carol Redmount, Egypt cell: +20-102-043-4999, redmount@berkeley.edu. 2. Dr. Heidi Saleh, Professor at St. Rosa Junior College, California, who is able to discuss importance of site and has worked at Hibeh, hsaleh@santarosa.edu, tel. +1-707-527-4578. 3. Mohamed Sherdy, prominent Egyptian politician, spearheading efforts to protect Hibeh and other sites, m.sherdy@editorpr.com, tel. +202-333-81069, mob. +20-100-559-9559. 4. For Arabic media contacts: Amir Bibawy, Egyptian-American journalist, +20-120-706-7555 or +1-202-329-9169. 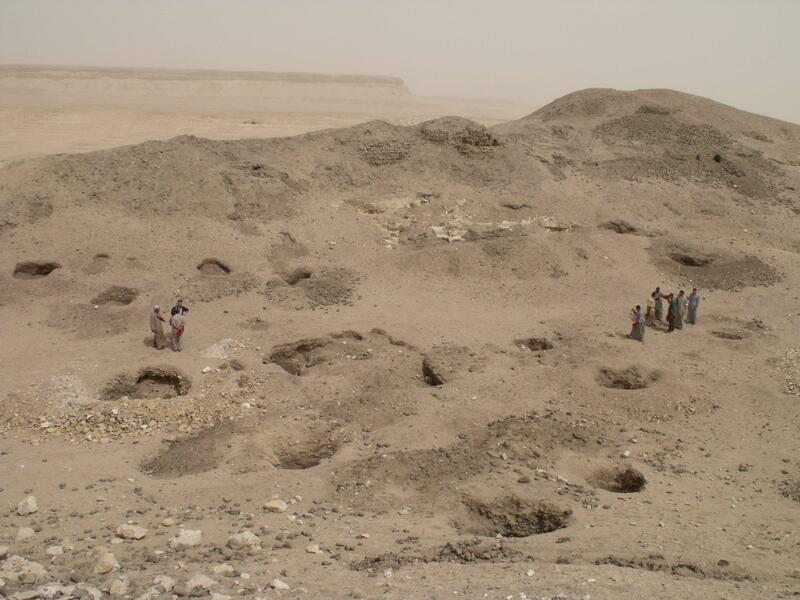 Archaeological sites throughout Egypt are currently being heavily looted, including the critical site of El Hibeh about 3 hours south of Cairo. Once these sites are gone, they are lost forever. It is a non-renewable resource. 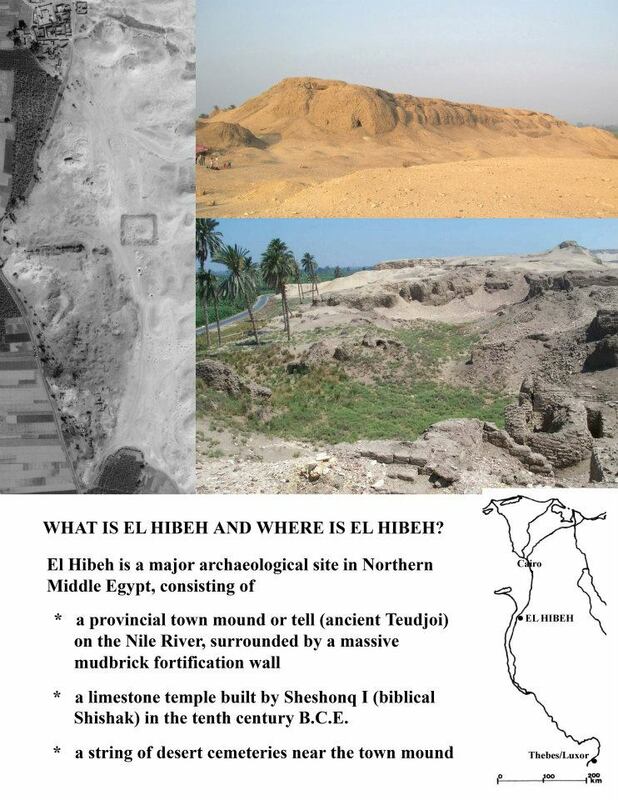 El Hibeh is of particular importance as it is one of the least disturbed city mounds of the Third Intermediate Period. It was first built probably in 1070 BCE by the High Priests of Amun at Luxor/Thebes and then more or less continually occupied for over 1,700 years so that the site also includes important remains from the Pharaonic, Ptolemaic, Roman, Coptic, and early Islamic periods. We are posting here (on the FB page) pictures of the site, of looting, of articles regarding this issue, and hope that you will spread the word, add friends to the group, and notify the press when and where possible. We must take action to save El Hibeh and hundreds of other sites like it that have been severely damaged as a result of limited police protection since January 28, 2011. Please visit this Facebook group, ask to join, look at the photographs of looted tombs, broken mummies, destroyed artefacts and structures and help to raise awareness of this very sad situation. We’ll keep you updated with more on this campaign.